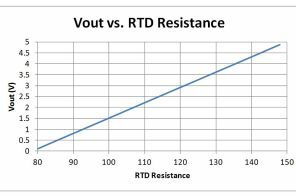 This reference design translates resistance temperature detectors (RTD) resistance to a voltage level convenient for an ADC input. 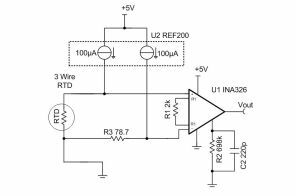 A precision current reference provides excitation and an instrumentation amplifier scales the signal. The design also uses a three wire RTD configuration to minimize errors due to wiring resistance.